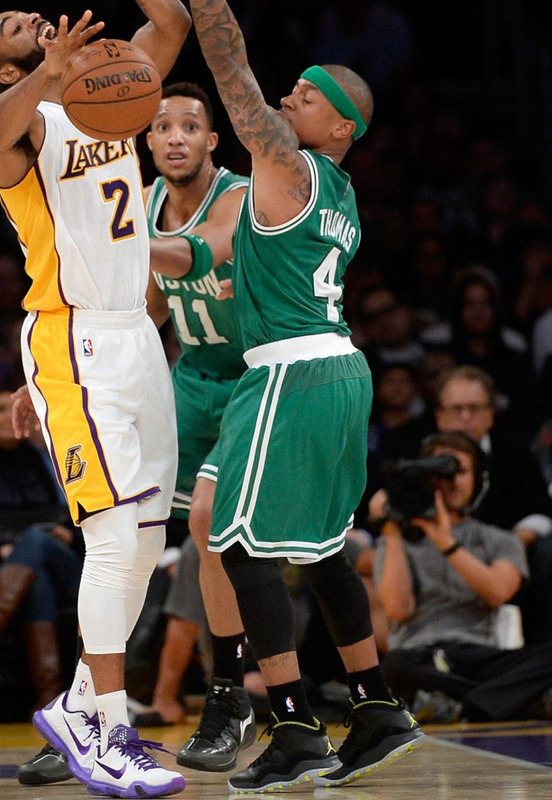 Thomas jumps right into the Celtics/Lakers rivalry. 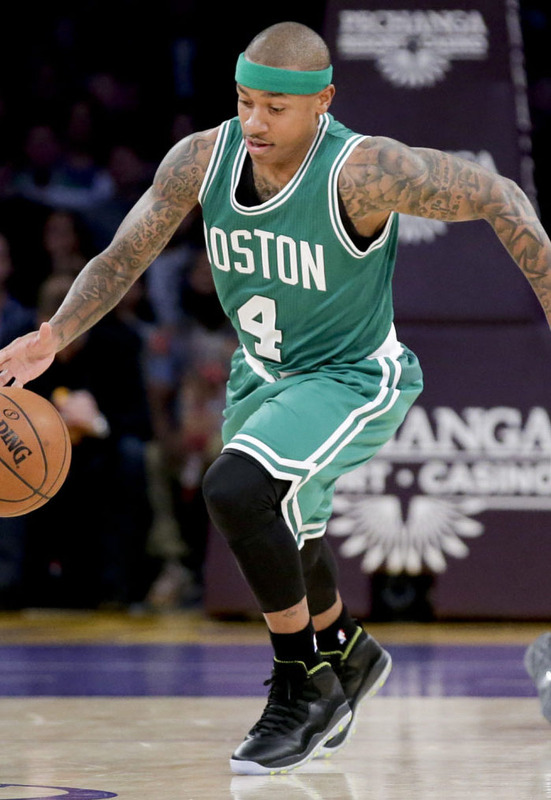 Strangely traded at the NBA's deadline, Isaiah Thomas made his debut for the Boston Celtics last night, fittingly against the rival Los Angeles Lakers. Thomas, who was ejected for arguing calls late in the 4th quarter, scored 21 points in 25 minutes of action. 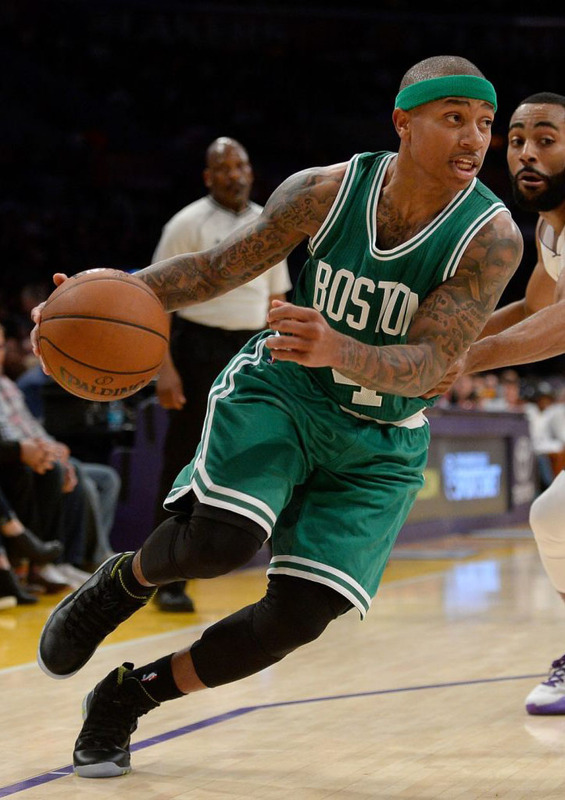 He played his first game as a member of the Celtics in the 'Venom Green' Air Jordan 10 Retro. 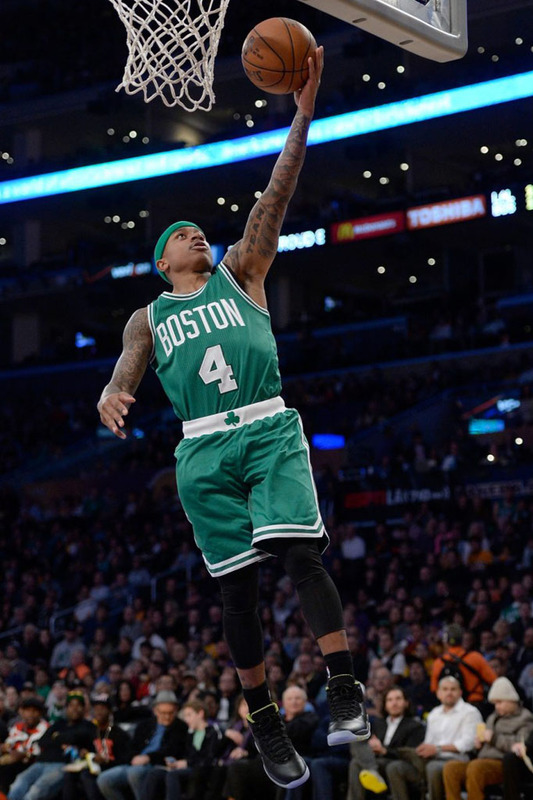 In December, Thomas said he was close to signing a deal with the Jordan Brand. That move hasn't been confirmed, but he's worn nothing but Jordan shoes since.